For the second year in a row, General Electric has been named second-best employer for engineers in Poland for 2010 in the 10th edition of the country-wide survey which is conducted yearly by BDI, the largest engineering database and consulting company in Poland. This year the votes were placed by 2117 engineers from all over the country. Unlike in the previous editions, this time the frontrunner was uncertain until the very last moment as General Electric went head to head with Skanska, a leading construction company. Eventually, GE was 16 votes short of placing first in the survey. The engineers who voted for General Electric highlighted the fact that the company offers great prospects for professional development and guarantees constant contact with the latest technologies. 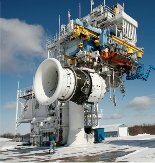 A further aspect that voters judged as particularly appealing is that GE is a multinational company, allowing for cross-country ideas exchange on a daily basis. Individual comments pointed to various aspects of job security and praised flexible work organization. Moreover, voters regard GE as a great place for female engineers to succeed in their technical career, and appreciate the fact that the company supports the pursuit of scientific achievements. It is worth highlighting that General Electric is constantly progressing in the survey. It wasn’t until three years ago that it made the top 10 and has been going upwards ever since (7th in 2007, 3rd in 2008 and 2nd in 2009).